Dr. Hahm received his undergraduate degree from the University of Wisconsin-Madison with a triple major in medical microbiology & immunology, biology, and zoology. After college, he spent two years at UCLA, on the Westwood campus, working in basic science research. Dr. Hahm then attended medical school at New York Medical College and returned to Los Angeles for his internship and residency in internal medicine at the University of Southern California. Dr. Hahm completed his fellowship training in gastroenterology and hepatology at Cook County Hospital in Chicago. He went on to pursue additional training at Northwestern University Hospital in Chicago to further specialize in gastrointestinal motility disorders. 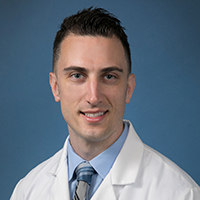 Dr. Hahm practices general gastroenterology including inflammatory bowel disease, general hepatology, reflux disease, and colon cancer screening. He has a particular clinical interest in esophageal motility disorders including achalasia, ineffective motility disorder and diffuse esophageal spasm. He is board-certified in internal medicine and gastroenterology.